No one captured the teen portion of the eighties as poignantly as writer-director John Hughes. Sixteen Candles, The Breakfast Club, Weird Science, Pretty in Pink, Ferris Bueller's Day Off, and Some Kind of Wonderful are timeless tales of love, angst, longing, and self-discovery that illuminated and assuaged the anxieties of an entire generation. 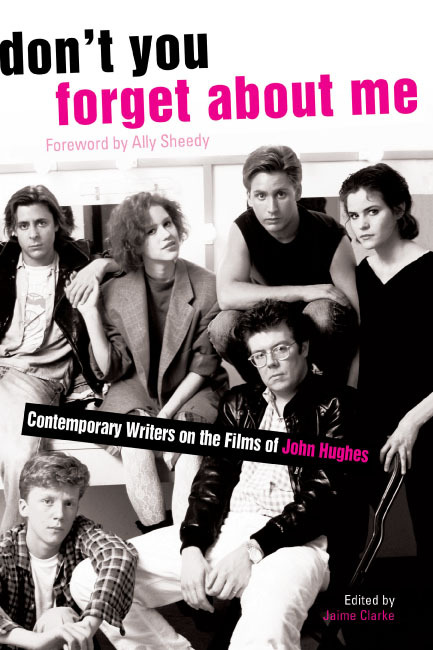 Fondly nostalgic, filled with wit and surprising insights, don't you forget about me contains original essays from a skillfully chosen crop of novelists and essayists on the films' far-reaching effects on their own lives -- an irresistible read for anyone who came of age in the eighties (or just wishes they did).